Check Mate! 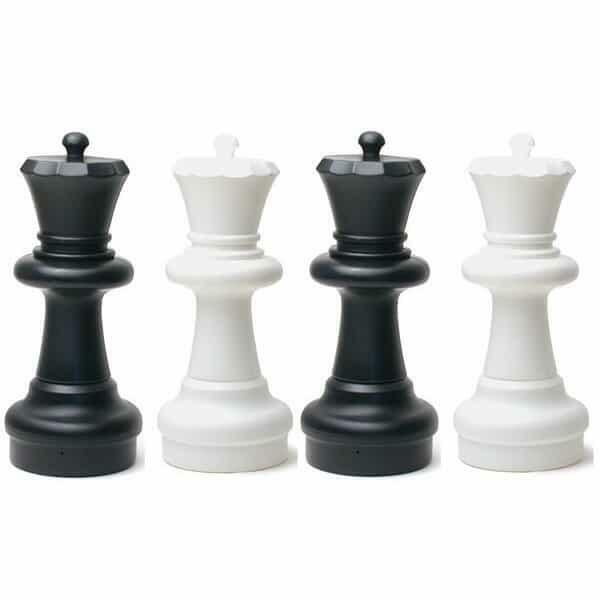 Teach your young ones how to play the fun game of chess, or provide guests with a "little" bit of fun with these large pieces from Kettler Toys. This set includes 32 pieces (16 black and 16 white) for backyard sessions of the "King's Game". Used since the Middle Ages to teach war strategy, this wonderful game is enjoyed by millions of people across the globe every year and now comes to your home in this enlarged version.